Join me on a 8-day photography workshop in the stunning and relatively secret and unexplored Northern Greece. This is a workshop of two parts. The first half of the week we will spend high up in the mountains of Greece in the Astraka Refuge Hut and surrounding areas of Zagoria. 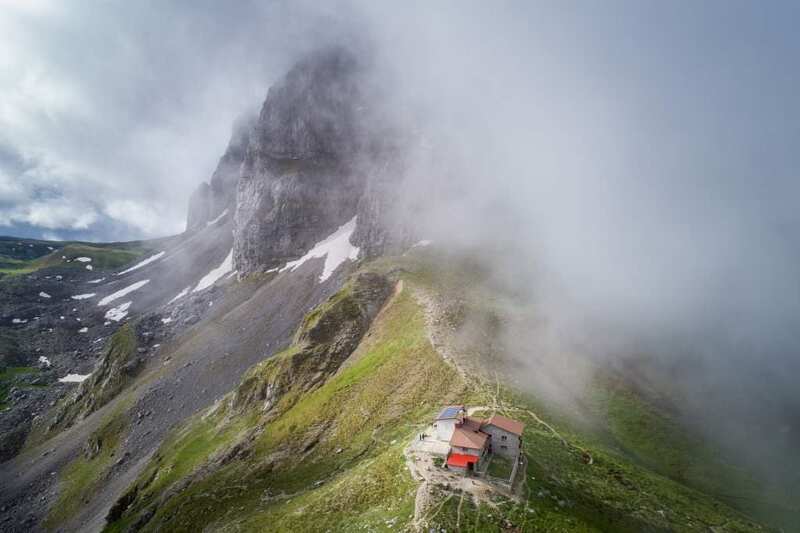 The refuge at 1950m, is ideally placed to visit and photograph beautiful alpine meadows and lakes with dramatic mountain landscapes. 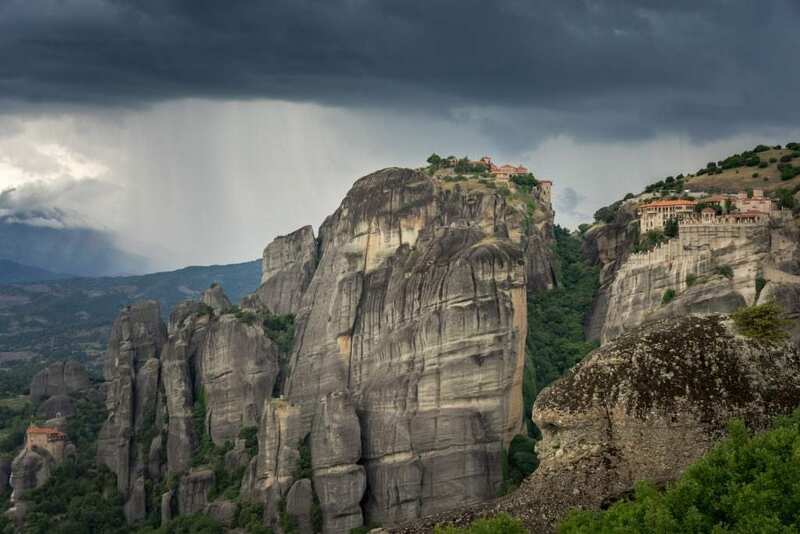 The second half of the week will be much slower paced and easier going with a day in Zagoria before moving onward to the UNESCO world-heritage site of Meteora where sandstone monoliths rise sharply out of the valley, with monasteries built and perched atop of these. Greece is famed for it’s sun, sea and beaches but this is a unique opportunity to showcase a different side to the country. I have had an admiration for Greece since being young, having Greek family living in the country. Since becoming a photographer I have visited Greece on multiple occasions and searched high and low (literally!) 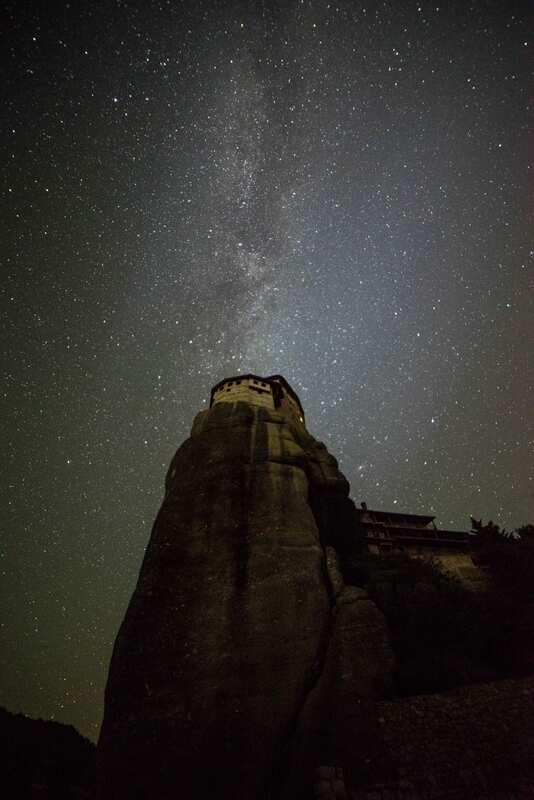 to find locations which offer an alternative viewpoint to the country. 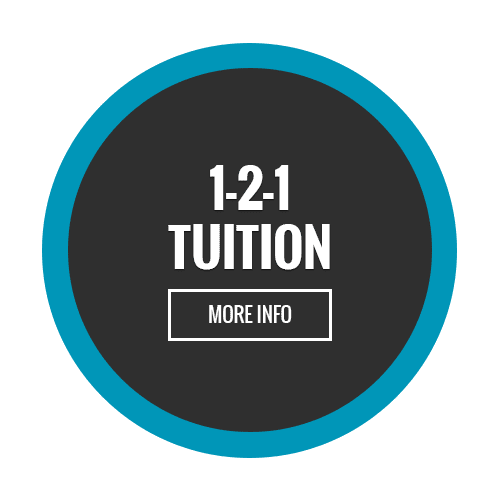 With a small group size you’ll be sure to get plenty of 1-2-1 tuition, ensuring you learn as much as you possibly can over the week as well as enjoying your time in the beautiful country. 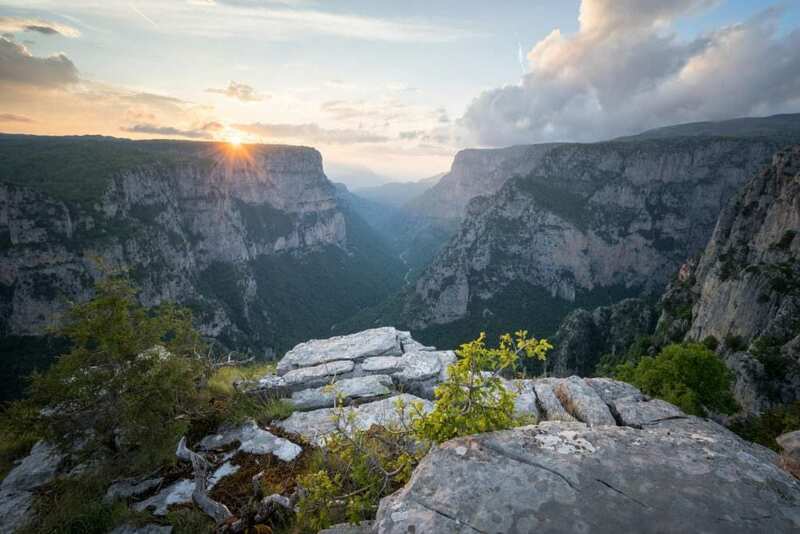 On the first day, we will meet at Thessaloniki Airport before moving on to Vikos Gorge for sunset, which is the worlds deepest gorge. 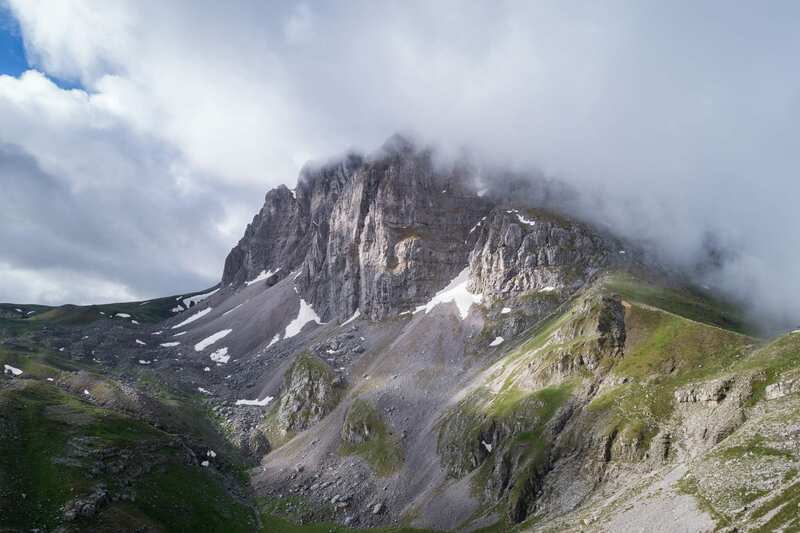 We will stay in a hotel nearby for the first night before heading to Mikro Papigo to he up to the Astraka Refuge Hut. Here we will spend 2 nights in the mountains before our descent. We will spend one final day in Zagoria before moving on to Meteora to visit one of the most unique viewpoints in the world. We will spend 2 nights here before heading back to Thessaloniki for the final night to ensure we are back at the airport in plenty of time. 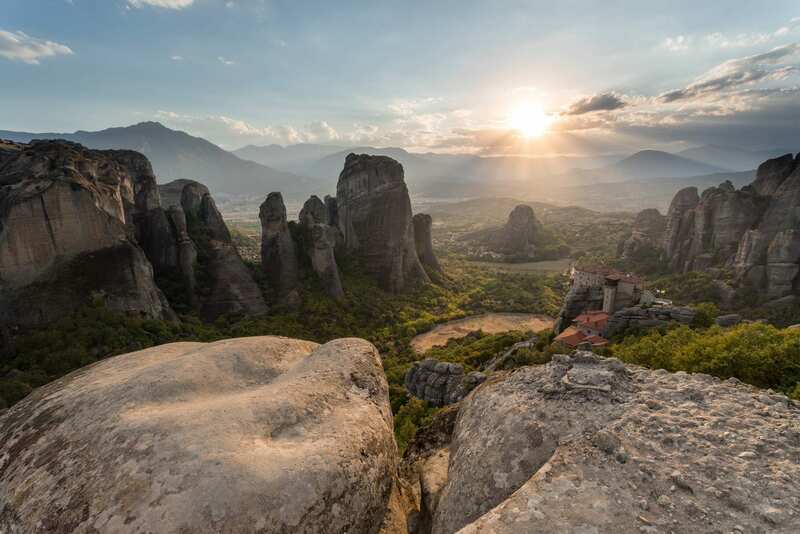 June is a particularly good time to visit Northern Greece. The weather becomes more settled with hopefully enough water still left in the alpine lakes depending on how hot the spring has been. Also, the temperature is almost perfect for walking, especially at higher altitude where it will rest around 17c in the day. 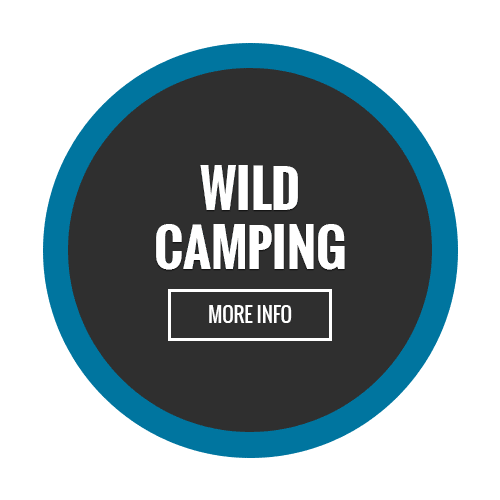 The refuge is a great base camp, allowing us to stay up high in relative luxury and allowing us flexibility to pick our locations and if must, retreat if the weather turns for the worst. When staying in the refuge, the accommodation will be bunk beds. Linen and bedding is provided but you must provide a sleeping bag liner. There are basic facilities such as toilets and cold showers, a highlight though is the refuge provides great cooked meals (not included) as well as a spacious living area. The refuge is also very well maintained and kept very clean. When we are not in the refuge and instead staying in hotels, you will be provided a private room with an en-suite. A discount may be possible to those booking who wish to share a room with someone else. I run relaxed workshops that require flexibility. With mountain weather, plans can often change and I will advise on a day-by-day basis what we are to do. I aim to take you out and show you how I would work as if I was there on my own. However, I always keep personal photos to a minimum, only setting up to demonstrate my workflow once everyone is happy/the conditions are unique. Throughout the week we will look at basic techniques such as focusing, use of filters vs exposure blending, composition, working with the light and much more. We will also look at more advanced techniques as the week progresses. This course has been listed as medium difficulty but please read the itinerary closely below. If you have any health concerns, please contact me for advise prior to booking. Below is a rough itinerary to give you an idea of what the trip entails. Day 1: Meet at Thessaloniki airport before travelling to Zagoria which is roughly 4 hours away. Those who wish, can fly to Corfu or Athens but must make their own way to Zagoria. At the time of writing, flights to Thessaloniki are from Manchester and Gatwick only, and restricted days hence the start date of a Friday. If everyone arrives early enough, we will look at shooting the sunset at Vikos Gorge before travelling onward to our hotel where we will stay the night. 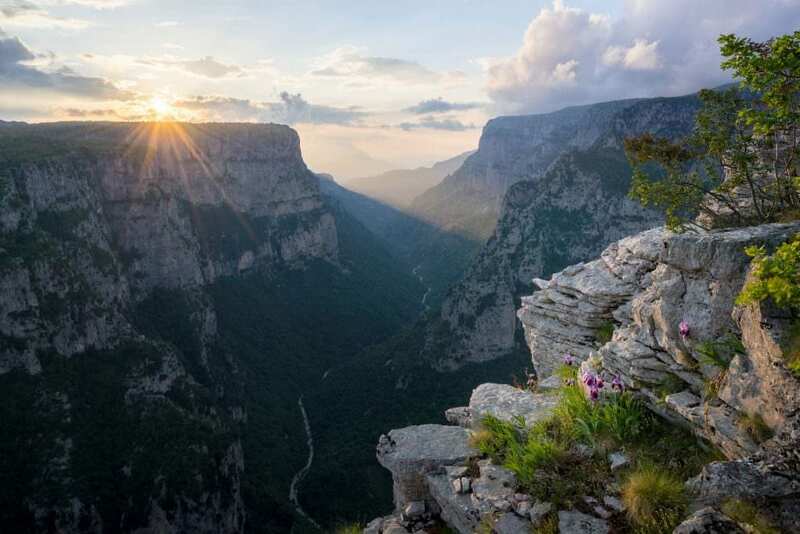 Day 2: We will hike the 3 hour walk up to the Astraka Refuge. The trail is good and not technical in any place. This should be in most people’s capabilities given enough time. The distance is around 3 miles with 950m of ascent. There is a possibility of hiring mules at the bottom for those who wish to have their gear carried for them. We will book in at the refuge and break before heading out for sunset down at Xeroloutsa lake looking over towards Astraka. Day 3: We will get up around 4am and walk up to Drakolimni (Dragon Lake). 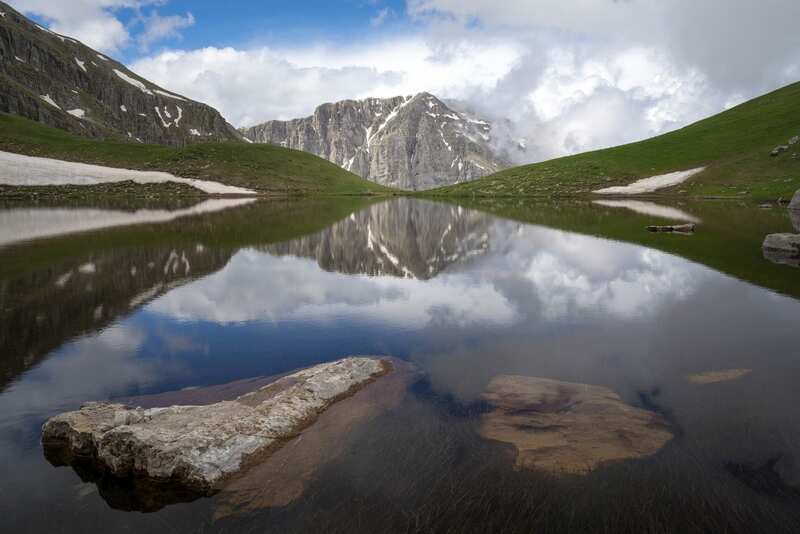 This beautiful alpine lake overs stunning views over to Astraka and the lower flanks of Gamila. The lake is around 1 hour 15 minutes away from the refuge. Again the terrain is fairly easy going. We will look at doing a sunset, perhaps from a nearby and easy summit. Day 4: Depending on how we got on the day before, we may choose to return to Drakolimni. If the previous day was successful we will search out a new location for sunrise such as down in the alpine valley. 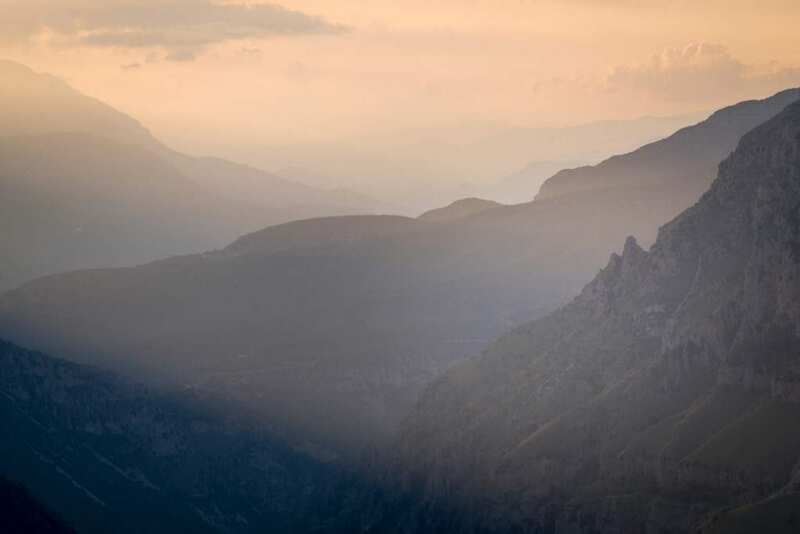 Those who are feeling energetic may wish to do Astraka summit during the day before we head out again for sunset. Day 5: We will complete our final sunset from the refuge, staying flexible depending on what we were successful in shooting in the previous days. 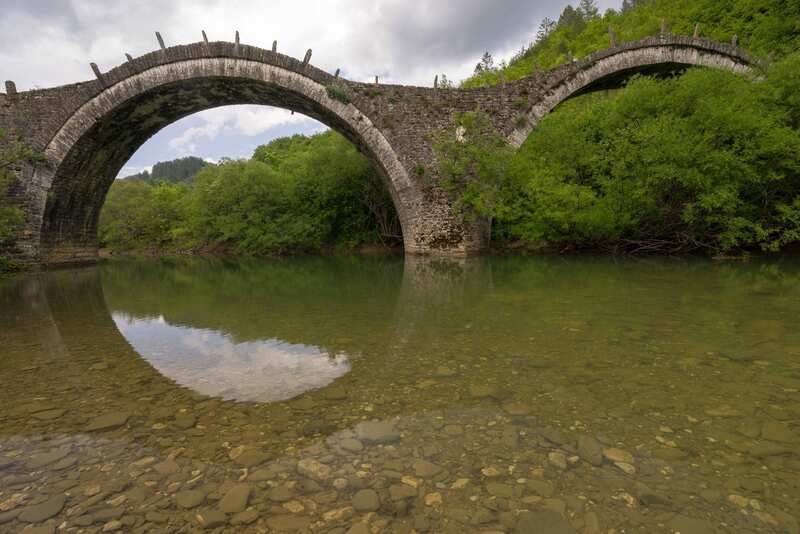 We will then make the trek down to Mikro Papigo and spend the day exploring Zagoria and some of the photographic locations around there include Papigo pools, arched stone packhorse bridges and Vradeto steps. We will look for somewhere high up but close to the road for sunset. We will stay in a nearby hotel. Day 6 -7 : Sunrise from near the hotel before heading over to Meteora for the next 2 days in Meteora. 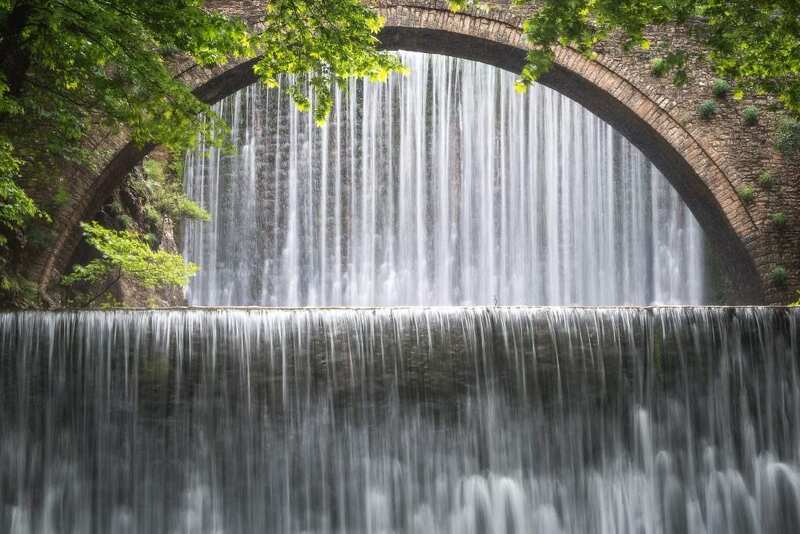 We will also visit Paliokarias Waterfall. On day 7, we will then head to a resort near Thessaloniki to ensure we have plenty of time the following day to catch our planes. Please note: There is a minimum number of people for this course to allow it to run. Anyone who books and the workshop shouldn’t run, then the workshop will be refunded or you can transfer to another. As much notice will be given as possible. All bookings should be made 6 weeks prior to the workshop, this is to allow me to finalise numbers before paying final payments to the hotel. However, if the workshop is still listed after this date, then the workshop will still be going ahead and is available to book. Please be careful about booking flights right away, I will advise once numbers have been made. Currently one person has booked on meaning it has a greater chance of running. If you have any doubts or questions, please get in touch. 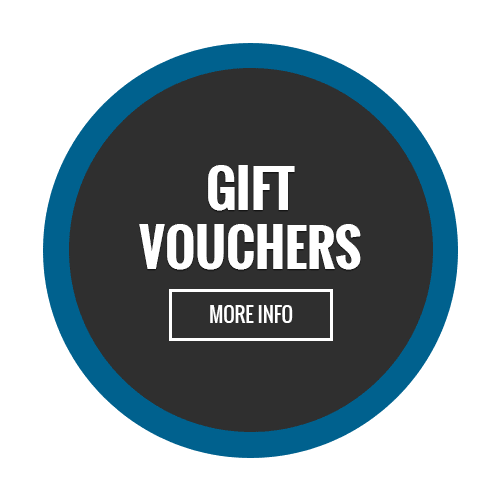 There is a £400 non-refundable booking fee required to secure your place with the balance due no later than 6-weeks before the start of the workshop. Please note this is subject to space and baggage allowance. Please advise prior to booking.